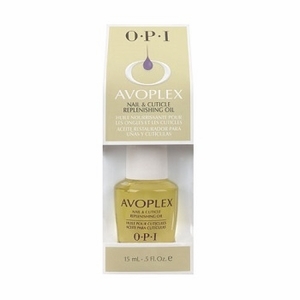 OPI Avoplex Nail & Cuticle Replenishing Oil, .50 fl. oz. Moisturizes nails, cuticles and the skin surrounding nails. Makes nails and skin soft and drenches with moisture. For best results, use twice daily. It can be used right over nail polish or on naked nails. Use before bed time to moisturize nails and skin over night while you sleep.